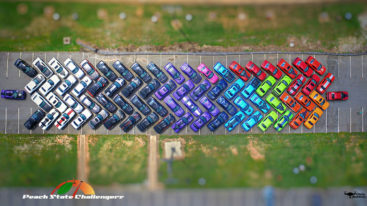 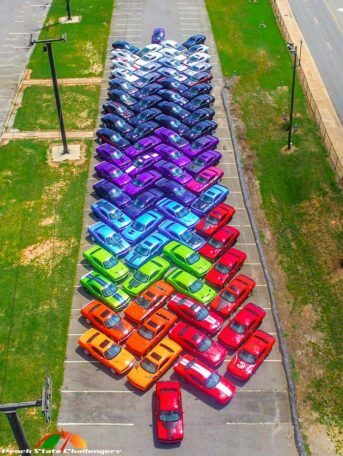 A car club from Atlanta, Georgia, known as The Peach State Challengers, recently gathered 76 of their members’ ride to pull out a rainbow made from Dodge Challenger Coupes. 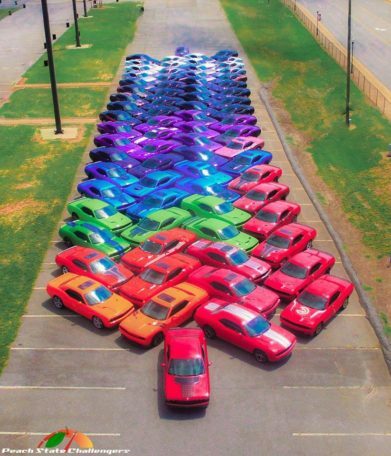 This beautiful arrangement also demonstrates the color options offered by Dodge! 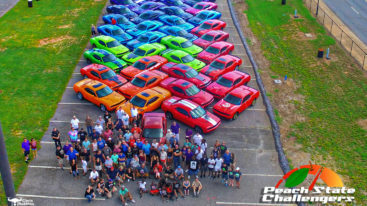 Nevertheless, the result speaks for the highest HP Rainbow so far.